Yesterday, Monday 28th of August, 2017., Mark Zukerberg who is the founder and Chief Executive Officer of Facebook, the world largest Social media network announced via his official facebook handle that his wife, Priscilla Chan has safely given birth to their second child which they named “August“. “Priscilla and I are so happy to welcome our daughter August!”. 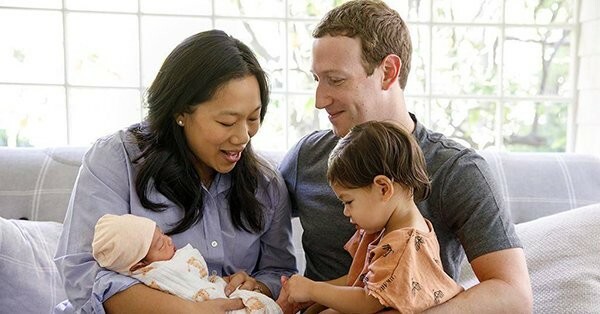 The facebook founder and billionaire, Mark Zukerberg also published a letter which was in form of a Note that he had written with her wife, Priscilla Chan to their second daughter, “August” on the same facebook. The letter contents contains the world they hope the baby will grow up in, and also, she doesn’t grow up too rapid. Mark Zukerberg wrote the letter to August, which he and his wife, Priscilla Chan signed.